AMMONNEWS - Lebanon’s Christian and Muslim leaders denounced the “unjust” decision of U.S. President Donald Trump to recognize Jerusalem as Israel’s capital and demanded that it be reversed. In a Dec. 14 statement at the end of an interreligious summit, the leaders said “that, in addition to violating the laws and international charters,” the decision ignores the fact that Jerusalem is a city holy to Christians, Muslims and Jews. In his opening address, Rai said he did “not know if the American people agree with their president’s decision,” but he noted that the U.S. bishops have rejected moving the U.S. Embassy from Tel Aviv to Jerusalem since 1984. He said he hoped for the bishops’ continued support. In Jordan, Bader told Catholic News Service the Dec. 13 March was a “condemnation of the decision” by Trump and a call to keep Jerusalem’s status quo. 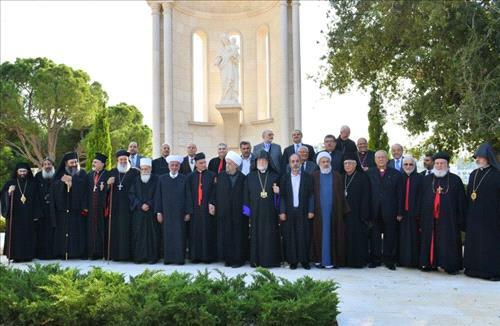 He said the Christian leaders also wanted to encourage diplomatic efforts by Jordan’s King Abdullah on Jerusalem. Jordan’s king is recognized as the custodian of Christian and Muslim holy sites in Jerusalem under its 1994 peace treaty with Israel.